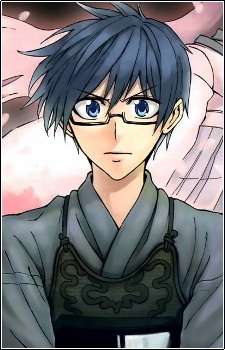 Hiroto is a first year student of Ouka High School he boasts great intelligence but below bad athletic ability. In fact, he did a fitness test in PE Class and got a score of zero. Despite this, he admires those able to perform in sports as “heroes" and as such, aspires to be like them. One night he is attacked by the ghost of a samurai, Sayuri Toujou and made into her student to inherit her lost sword style, Sakura One Strike Style, because of his impeccable “vision". At first he refuses on the grounds that he has zero physical strength and stamina, but Sayuri convinces him to join the Ouka High Kendo Club and begin his journey along to path to becoming a “hero".